These young kits eyes are not yet open. The polecat is a hob and the others are Jills. 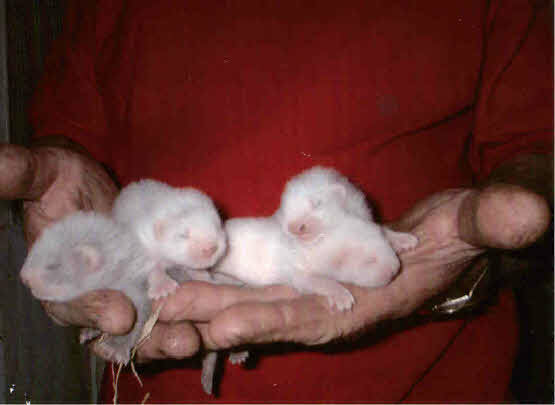 Kit’s at three weeks old.